Cabin approved for easyJet, British Airways, Lufthansa, KLM and all other major airlines. Also approved for Ryanair’s cabin allowance if you have purchased Priority Booking & 2 cabin bags. 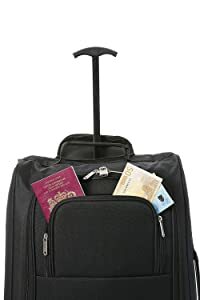 Our bags feature a 42L packing capacity and weigh just 1.45kg, meaning you’ll be able to pack more of your items within your baggage weight limit. This bag is designed to be pulled along and supported by you. 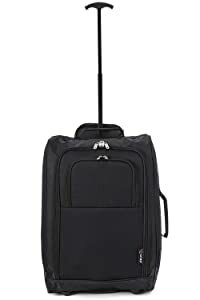 With two wheels and telescopic handle this trolley bag is ideal for transporting your items around the airport or hotel. ​This case is great for short breaks and weekends away; the included padlock allows for added security as the main compartment can be locked. 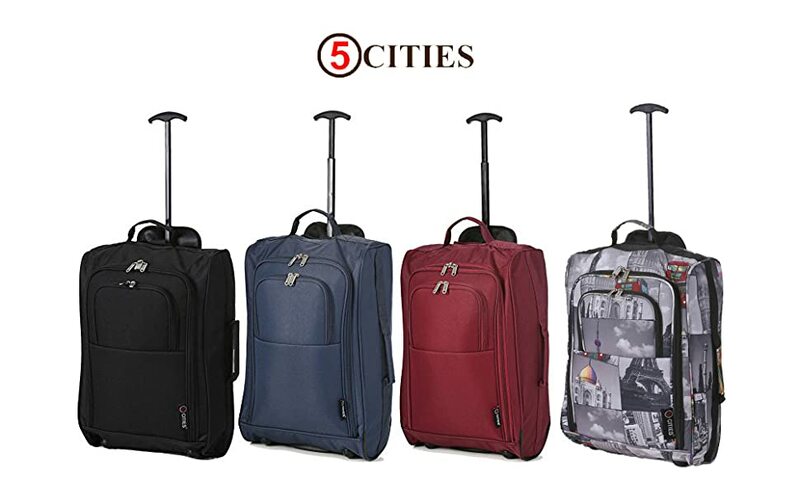 This lightweight luggage comes in a variety of colours and designs. 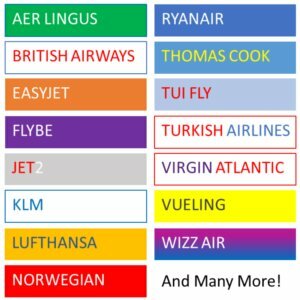 Don’t worry if your airline isn’t listed – it may still be compatible – please check online for others! Retractable telescopic handle to pull your luggage along with ease. 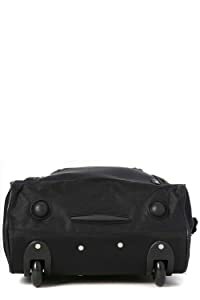 We addressed valuable feedback we had on earlier editions of our bag, and have manufactured larger rubber balls on the bottom of the bag, and added a PVC bar, to prevent scuffing of the material on the bottom. We also added PVC lining to the outside of the bag. Protective rubber balls with improved PVC bar to prevent bottom wearing. 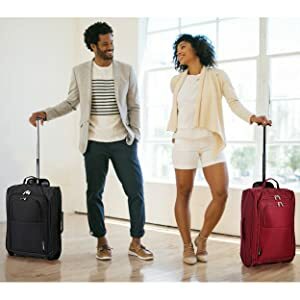 The bag will not always stand upright without support when packed full as the bag is designed to be as lightweight as possible for your cabin weight limit – Just 1.45kg. However, our lovely customers have recommended that if you pack when the bag is upright, and fully pack into the corners, this will help it stand better.